Hacienda Hacienda - The only spa hotel for families, built as a magical Spanish estate, is located near Kfar Vradim. In the estate, 142 rooms are immersed in 70 acres of natural woodland. In the mansion, several room types, superior rooms, superior forest view rooms, garden rooms, garden rooms with jacuzzi and 2 suites. 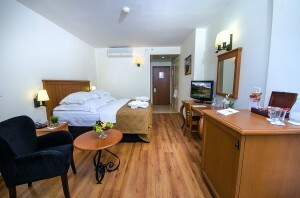 All rooms are equipped with air conditioning, refrigerator, internet connection, satellite TV and coffee corner. The hotel's dining room has been renovated and refurbished and serves rich cylindrical breakfasts and asado evenings. The C Spa has a new health and spa center on Hacienda. 3 wings: (entrance fee) ** C pleasure - dry wing with 9 treatment rooms including double treatments,Mud treatments, body peeling, ayurveda and more. ** C Relaxation - the wet wing with Turkish heat, dry sauna, Jacuzzi and reflexology baths. ** C Fitness - The fitness department with a state-of-the-art gym featuring the latest fitness equipment If you are looking for the ultimate combination of relaxation and enjoyment - C Spa is the answer and Hacienda is the place. The Hacienda Forest Hotel gives you a wonderful holiday of renewal and relaxation in the countryside. New Room with a dangling TerraNew Room with a dangling Terrace overlooking the forest. 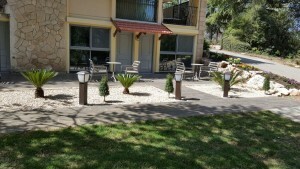 The terrace equipes with Garden Furniture. 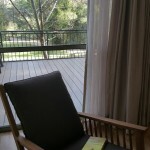 New Room with a dangling TerraNew Room with a dangling Terrace overlooking the forest equiped by garden furniture. Garden Room A spacious room opening into a furnished garden, suitable for couples with up to one child. The room is air-conditioned, and appointed with a double bed, a sitting area, a bath and toilet, a hairdryer, an LCD satellite TV, an Internet connection (additional fee applies), a telephone, a mini-bar, and a coffee/tea maker. Garden Jacccuzi RoomA spacious room opening into a furnished garden, a balcony with a view to the forest, and a huge hot tub in the room! 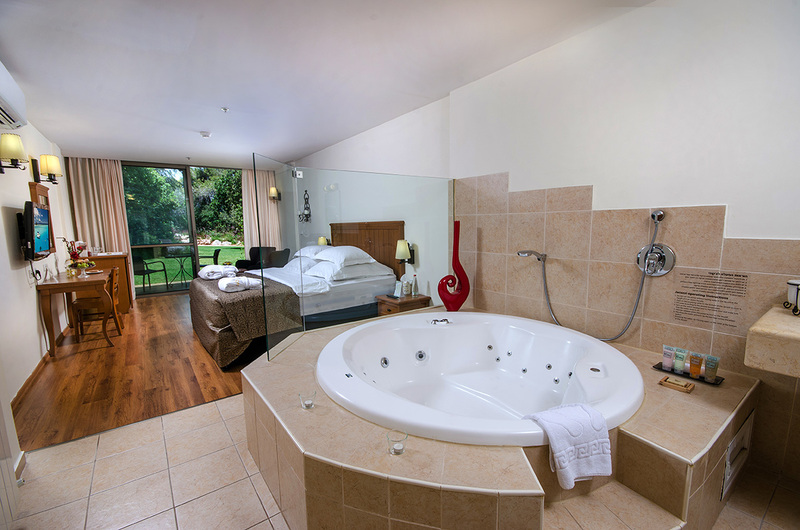 The Jacuzzi Garden room is suitable for couples only. 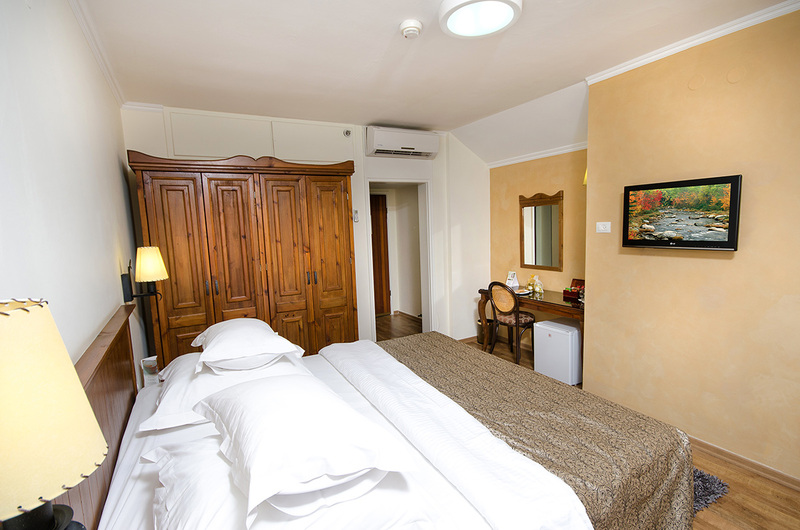 The room is air-conditioned, and appointed with a double bed, a sitting area, a couch opening into a single bed, a bath and toilet, a hairdryer, an LCD satellite TV, an Internet connection (additional fee applies), a telephone, a mini-bar, and a coffee/tea maker. Standard RoomA charming room suitable for couples or families with up to two children. The room is air conditioned and appointed with a double bed, a sitting area, a bath and toilet, a hairdryer, an LCD satellite TV, a telephone, a mini-bar and a coffee/tea maker. Superior Forest ViewThe superior forest view rooms are located above the hotel spa, overlooking the surrounding forest. The rooms are appointed with a whirlpool tub, air conditioning, a sitting area, a hairdryer, an LCD satellite TV, Internet service (additional fee applies), a telephone, a mini-bar and a coffee/tea maker. The superior forest view rooms are suitable for couples only.